Insure your product by buying of the Allview Complete Warranty for a period of 2 years. By chossing this type of warranty you will have free of charge repair for any functional deficiency of the product during insured period. In addition, if by the end of the insured period the product did not require intervetions induced by your fault, you will get bonus an extra year of warranty and 10% discount if you want to buy another Allview product. 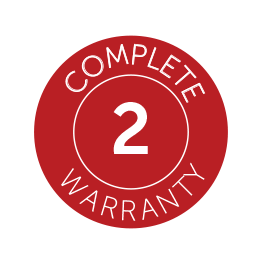 Complete Warranty can be purchased by any client, individual or company, who buys Allview products from Allview website. During entire period of warranty coverage transport will be provided free of charge, by courier service. If some parts of the product present scratches or chipping, they will not benefit from All Inclusive Warranty. All parts will be replaced only if they present functioning deficiencies. Complete Warranty covers the one time replacement of any part of the device during the insured period. This service covers only the products that it has been purchased for, products identified by Serial Number, by original warranty card and invoice (the original or a copy). Product has to be presented in original configuration without alterations, damages or unauthorised interventions. If an Allview product is faulty from start and an Complete Warranty has been purchased for it, the product will be replaced and the All Inclusive Warranty will be transfered to the new product in the same terms and conditions. Allview Complete Warranty is an optional, chargeable service, offered by Allview. Allview Complete Warranty respects legislation regarding consumer’s protection and rights.